From ‘Sugar, We’re Going Down’ to ‘I Don’t Care’, ‘Uma Thurman’ to ‘Champion’, Fall Out Boy has undeniably transformed into one of the biggest rock bands of the current era. Throughout the course of their near two-decades long career, the quartet has brought us on the journey through quite a few interesting moments – here are our favourites. You best believe it, the Chicago natives are world record holders! Back in 2008, Patrick and Pete set out on a mission to break the Guinness World Record for most interviews conducted by a duo in a 24-hour period. The number they had to beat was 57, which they did within 10 hours. But ever the overachievers, they decided to carry on for as long as they could and ended up busting out a whopping 74 interviews that were between eight to 20 minutes long, taking breaks only to eat or use the bathroom. Yup, Joe Trohman once slept in a dog cage – well, it was more like a little cat nap, really. The reason is unknown, but it was documented on an old DVD. In an interview with Rock Sound back in 2013, the guitarist explained: “It wasn’t a night. It was, like, five minutes at the most and then put on a DVD. You can spin that story any way you want when it’s on film, you know? And I was also 17. Do a lot of 17-year-olds spend a lot of time in a dog cage? I think they do!” No, Joe, we’re gonna have to go with “No”. Going back to their early days during the 2007 Honda Civic Tour, the band wanted to raise awareness for blood drives by giving fans a chance to win posters that were signed with a mixture of their blood in the ink. Speaking on their decision in a behind-the-scenes video, Patrick explained: “These disasters don’t last just a year, there are still people living in the aftermath of the tsunami and the aftermath of Katrina. It’s in times of low publicity on blood drives that people really need blood.” We know it was for a good cause, but we can’t help but think that there were other more effective – and less painful – ways to raise awareness for blood drives, but hey, to each their own. One of the biggest surprises FOB fans got towards the end of 2017 was the release of the ‘Champion’ remix, which was done in collaboration with RM of K-pop boyband BTS. Not surprisingly, the lit track gave rise to questions of how the team-up came to be. Well, it turns out we have Dance Dance Revolution (DDR) to give thanks to! During the birthday party for Pete’s son at an arcade, the bassist was witness to a large group of people who were at the same arcade to watch RM play DDR. Unsure of who RM was, the band got to digging and the rest is history. Fall Out Boy’s set to take the stage at [email protected] Box for their M A N I A tour on 30 April 2018. If you haven’t yet gotten your tickets, head on over to Sistic to score yours now! All your favourite ’80s and ’90s era cult classics are returning to air! From dark tales of witchcraft to action-packed adventures, here’s a new crop of reboots and spin-offs coming out this year to tickle your nostalgia fancy. What is it about? Brought back by the producers of Riverdale, its affiliation with Archie Comics jolts a brand new adaptation of Sabrina the Teenage Witch as The Chilling Adventures of Sabrina. Not much is known about the show yet, but we hear this spinoff will adopt a much darker interpretation than the former lighthearted series. One thing’s for sure though, Kieirnan Shipka and Ross Lynch are looking totes adorable as Sabrina and Harvey! What is it about? The freshly animated series of the original 1994 series is set to return with its second season this April. 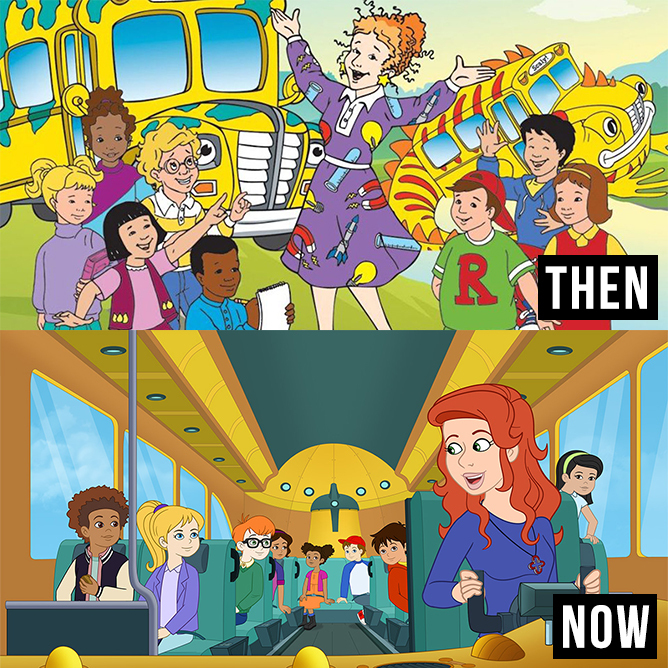 With a new Ms. Frizzle, the ridding of Phoebe and a wardrobe revamp for the former characters, the renewed plot sure has fans gripping onto their seats in anticipation. What is it about? The OG Murphy Brown, aka Candice Bergen, will be making a comeback after a two-decade drought from her witty humour. 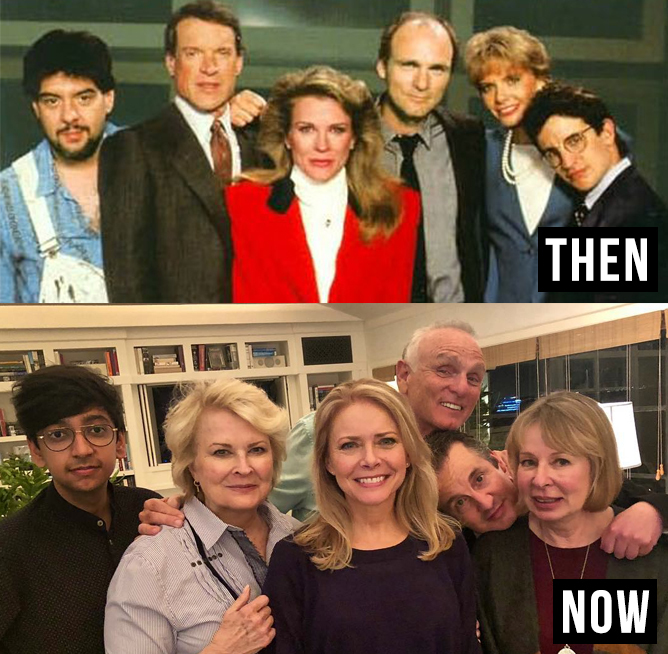 And she ain’t alone – the whole gang are all getting back together again in the newsroom, including Faith Ford, Joe Regalbuto and Grant Shaud. Bring back the ’90s, baby! What is it about? 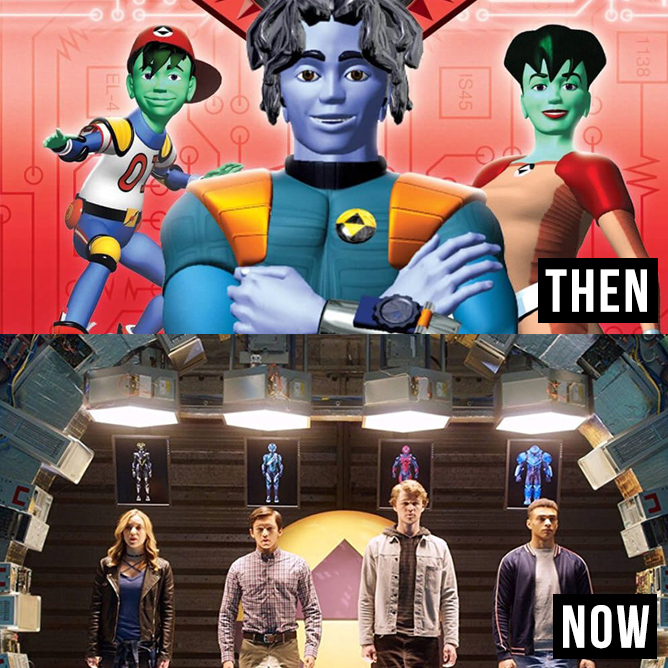 Popular 1994 television show ReBoot comes back to life after its seven-year run. Unlike its previous animated series, the Guardians are characterised as tech-savvy superheroes ready to protect the world. Expect a cool mix of explosive live action and CGI magic in this upcoming reboot! What is it about? 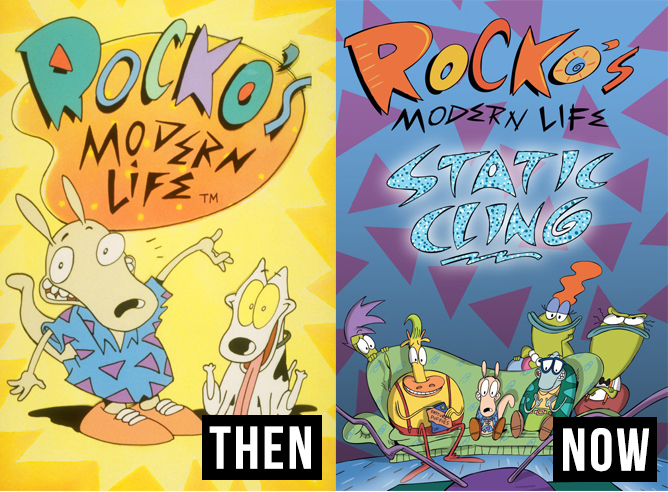 A spin-off of the 1993 Nickelodeon series Rocko’s Modern Life, this one-hour special sees Rocko and his pals settling down in the modern-day O-Town. With its original creator Joe Murray back to helm its reboot, it’s safe to say we can look forward to humour as sharp and pepped-up as it used to be! What is it about? 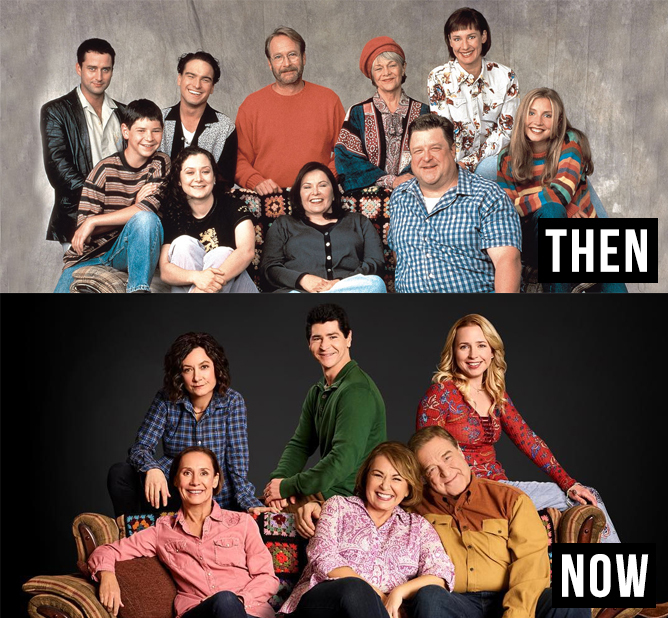 The long-running 90s sitcom just premiered its tenth season this March! A peak into the everyday lives of a typical working-class American family, the 65-year-old star delves into everything from Trump and his tax bills, to the fancy lives of the Kardashians – all while maintaining her trademark honesty and snarky personality. Listen up, folks: we’ve got a new power duo in the house, and it’s none other than Gentle Bones and MYRNE (also known as Joel Tan and Manfred Lim). As two of the most buzzing names in the local music scene, the R&B singer-songwriter and up-and-coming producer teamed up for their new collaborative album B4NGER PROJECT – an epic 10-track record filled with banger after banger. Ahead of their album launch, we caught up with the twosome to find out more about their new music. While they mostly maintained an air of seriousness when talking about their craft, there were also moments where they let their demeanour slip once in awhile. Who knew Gentle Bones is a BIGBANG fan and MYRNE is a domestic geek at heart? Oh, and forget Gentle Bones and MRYNE – call ’em the Kampong Kias. How did the B4NGER PROJECT come about? Gentle Bones: We first met around five years ago when I just put out my first single ‘Until We Die’. He then asked if he could do a remix of it and the rest was history. I also managed to get him to remix Geniuses & Thieves, which he did a killer job on. But it wasn’t until last March that we decided to sit down together and come up with some songs of our own, which led to ‘JU1Y’ and we started from there. What makes this collaborative album different from your personal releases? Gentle Bones: We came to work on this album with the whole idea that we didn’t want it to sound like our previous releases. We wanted to try stuff that’s totally unfamiliar, and when we realise that what we both found unfamiliar came together as a really nice product, we just go in from there. MYRNE: For me, my style leans more towards the EDM route – the standard formula of build up, drop and chorus. But in this album, every single track is totally different from each other so you’d probably find something you like in there. We haven’t really heard this kind of music in Singapore before either. How was it like working with Sam Rui in ‘VODKA’? MYRNE: We’re friends and we’re all in the same place musically. She’s great; a total R&B heartbreak queen. We like to hang out, drink kopi and write songs together. One day, we wrote this song which we found super moody and R&B, and we felt like Sam would kill it. So she came over, wrote the hook in an hour and we just fell in love with it. Spill a secret about each other that people don’t know about you yet! Gentle Bones: For Manfred, he looks like a ladies’ man – and actually, he can be – but deep down he’s very domesticated. MYRNE: It’s the same with Joel. He seems like a super cool dude on the surface, but he really cares about his family and loved ones. Gentle Bones: Mama’s boy lah! Can you guess what are each other’s musical guilty pleasures? MYRNE: [Joel] looks like the kind of guy who will listen to JJ Lin or something. Gentle Bones: I love JJ Lin, ever since I was a kid! He also mentioned me in one of his interviews before (laughs). For Manfred, he’s very into the local rap scene – like ShiGGa Shay, I think people don’t give him enough credit. We’re both big fans of him! What’s an unpopular opinion you have about the local music scene and what would you like to see more of? Gentle Bones: I would like to see more people to just try. I’ve seen a lot of younger artistes that come up and immediately get torn down by the immediate circle of fans, so if more people could just start out and go for it, I think it would be nice. What are the top three things on your musical bucket list for 2018? MYRNE: Oh congrats, it’s done (laughs). Gentle Bones: Probably play more shows overseas… I would also love to go back to Korea to perform. I was there for the Asia Song Festival in Busan back in 2016, and we did an acoustic performance at one of the cafes in Seoul. We got to visit the labels and met a producer who produced for a few of the K-pop boy bands. We hung out at his studio and you get to see the way the industry works. It’s really interesting. We just had to ask – any K-pop artistes that are on your radar recently? MYRNE: Personally, I would love to get DEAN to feature in a song if I had the chance to collaborate with him on this album, something like ‘5HE DGAF’. Gentle Bones: Yeah… I’m a big BIGBANG fan since I was primary six. I love listening to their music, especially Taeyang’s. Lastly, if you could come up with a duo name, what would you call yourselves? Gentle Bones: Uh… Ubin Boy. MYRNE: Or how about Kampong Kias? Gentle Bones: Actually, that’s better. We should call ourselves that! Thanks to Universal Music Singapore for the interview opportunity! Gentle Bones and MYRNE will be performing for THE BANGER PROJECT SHOW at The Pavilion, Far East Square on 27 April, 8pm to 10pm. Don’t forget to get your tickets to the show here! Listen to the B4NGER PROJECT on iTunes and Spotify. A lot of changes have happened for BTS. Not only have they switched up their style from hip-hop boys (think badass streetwear gear and lots of bling) to the dandy gentlemen we know today (think fine suits and sequin bomber jackets), but they’ve also been experimenting with wild hair colours since hitting the scene in 2013. From J-Hope’s bright red to Jin’s signature pink, V’s striking orange to Suga’s mint green, they’ve done it all. What ARMYs didn’t expect, however, was to wake up to the K-pop band sporting matching jet-black hair for an LG Electronics campaign. The technology giant has announced that they will be collaborating with the seven-member supergroup on a “diverse marketing campaign that reflects the uniquely colorful personalities of each of group’s seven members” starting this quarter. And in an excellent marketing move, they gave the boys an unexpected black dye job. As expected, it didn’t take long for the news to blow up, with #BTSBlackHairParty trending on Twitter right away. … while others are just having the time of their lives. We are all just really, really whipped for BTS. In other news, BTS just dropped their latest Japanese album Face Yourself, now available for purchase and streaming. If you’re an ARMY, you’ll love these stories: BTS Encourages Fans To “Love Myself” And Twitter Had The Most Amazing Reaction, BTS Just Showed The World They Don’t Lipsync In The Most Epic Way Yet, BTS Fans, You Can Soon Get Your Very Own Pair Of PUMAxBTS Kicks In Singapore! Missed out on Wanna One when they were in town last August? Fear not, ’cause you’ll soon be able to breathe the same air as your favourite boys again! Amidst a whirlwind of promotions for their latest comeback ‘Boomerang’, the K-pop supergroup of the moment has just announced that they will be embarking on their ONE: THE WORLD world tour. Kicking off the tour in Seoul, they will then embark on a string of USA and Asia dates starting from San Jose and ending at Manila. And here’s the piece of news you’ve been waiting for: Singapore is included as one of the stops! 역대급 스케일의 #워너원 첫 번째 월드투어! 서울을 비롯하여 미주와 동남아까지 워너원이 이끄는 Wanna One World Tour <ONE: THE WORLD>#WannaOne‘s First World Tour on ultimate scale! Having held their previous fanmeeting here at the smaller-scale [email protected] Box – which escalated to an all-out ticketing war and resulted in the organisers releasing additional seats – we’re hoping the boys get to perform at the more prestigious Singapore Indoor Stadium this time round. And as much as we hate to break it to you, this may very well be your last chance to see OT11 perform on our shores altogether before their dreaded disbandment (noooooo) in end 2018, so all the more you shouldn’t miss it. Are you ready, SG Wannables? Tickets will go on sale on 28 April, 12pm via www.sportshubtix.sg. Good luck!